ESTHERLEON SCHWARTZ came to America in 1948. A child Holocaust survivor she escaped from the Nazis in 1944. Her father threw her over the barbwire fence at the Swiss border, looking up to the heavens he said "Save my daughter and she will always serve you." In her heart she knew her destiny had been chosen even at the age of 4. Life's challenges saw her rise from refugee to welfare to riches, which she gave up, after a family tragedy. 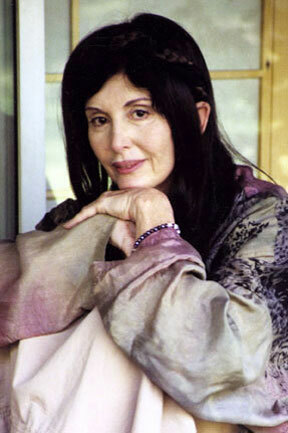 She became a Cantor, founding 3 storefront spiritual reading rooms for all people, religions and cultures. She administers to the sick through her singing voice, as a volunteer Para-Chaplain at a renowned hospital in Los Angeles. She created Voices of Hope concerts to end world poverty and is a peacemaker working with the UN. Estherleon's present www.peoplecando.org is a community outreach site, to inspire people to get involved for social and environmental awareness and action for the wellbeing of humanity. Her present vision is to gather women of all cultures and religions to go on an ecumenical spiritual pilgrimage to India, to meet with the new woman president to discuss hope for peace and work together. Her world vision is to bring people together for a deeper understanding, compassion and respect for each other. She is fulfilling her father's prophecy to serve a higher cause.